We’ve create this article to help you find the best cabinet table saw for your needs. We believe that spending the time to read plenty of cabinet table saw reviews will help you find the best saw for the best price. Have you ever gone shopping for a product such as a table saw and found that you are overwhelmed by the choices on offer? Investing in one of the current table saws on offer today is regarded as a major investment and will often form a backbone of a person’s workshop and should be able to perform that function for many years into the future. You can look at purchasing the right table saw like purchasing a vehicle. This is associated with buying the saw that is able function the way you need it to. 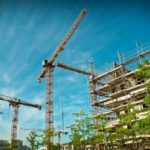 It will also need to be affordable, dependable and offer you with many years of use along with the needed safety features. Below are a few things to keep in mind before you buy a cabinet table saw. There are various categories when it comes to table saws, but they usually fall under three main types. This includes the hybrid saws, contractor saws and the cabinet saws. The cabinet saws are often referred to as beasts that feature more than enough power, weight, large sizes and maximum durability. They will typically feature three horse powered motors or even more. They will also come with cast iron durable parts, a fence that is heavy duty along with a full-cabinet that houses the motor. 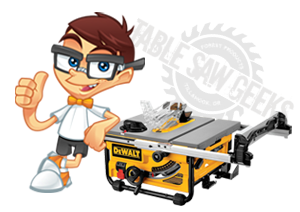 Cabinet saws will vary in weight from about 400 to 600 pounds and do not perform the function of being portable. Their weights are in place to counteract forces associated with the extremely strong motors as well as to decrease vibration. Making and investment into a cabinet saw is often a large investment when it comes to your hobbies or career. For this reason, you will want to ensure you make the right choice before spending your hard-earned cash. Cabinet table saws are typically the equipment that will be used most frequently in most the joinery workshops. Below are a few things you should keep in mind to make the right purchase that will assist you in achieving perfection when it comes to your work. How Is a Cabinet Table Saw Different from The Other Table Saws? The cabinet table saw is regarded as the top of the range when it comes to the table saws and features a variety of distinguishing features. These table saws are known for their hefty weight and this is in part due to the parts and the machinery needed and too additionally reduce vibration that assists in keeping the cuts made perfectly square. The cabinet type table saw will generally feature induction motors which will push a minimum of 2 hp and sometime even up to an astounding 5 hp. One of the standout features is the cabinet-mounted trunnion. This is where the blade will be mounted and offers outstanding movability of the blade height and angle. Other standout features include that they are a lot more precise as well as easier to adjust when compared to other types of table saws. In addition, they feature close to the perfect type dust collection. This is possible with the underneath cabinet. What to Look Out for Before You Buy A Cabinet Table Saw? The cabinet table saw can range in price from about $1,000 all the way up to 10’s of thousands if you are in search of quality specialist workshop joinery gear. If you happen to only be a hobbyist you should not be spending more than $2,000. However, if you happen to be a contractor the choice of a cabinet table saw will be dependent on your work style. Perhaps you construct custom made doors or are involved in the larger projects that include large sheets in material. These types of jobs will necessitate a costlier cabinet table saw. Most of the best cabinet table saw varieties will be equipped with electronic safety brakes along with an automated “off” switch that prohibits the saw from restarting when power failures occur. The riving knives that quickly release is also a consideration if safety is very important to you in your workshop. When it comes to the weight of the cabinet table saws, this is usually irrelevant as you will not be able to transport the machinery from one place to another. In most cases these saws will be approximately 35” from ground level up and can be more than 60” in length and about 40” in width. You need to make sure you have sufficient space to house such machinery. Keep in mind that you should also leave ample room to feed in longer material pieces. Dust collection features on the cabinet table saw models are regarded as superior to most the other varieties. However, keep in mind that there are various dust collection specifications. If you are concerned about dust, look out for the cabinet saw types that vacuum the dust in a downward direction along with at least a 4” dust-port. Check on the maximum “rip capacity” that you require and the types of material that you rip. 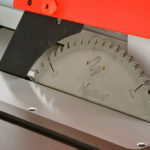 If you happen to be in the profession of making custom joinery and furniture for commercial based projects look out for the saws that feature a rip maximum over 25”. Most of the best cabinet table saw models are not designed to run off power outputs that are residential. Invest in one of the single-phase table saws if you plan to use the machinery from home. Alternatively, you can get hold of your electrician and ask them to implement 3-phase power to your home. What Are the Features That Make It Worthwhile to Invest In A Cabinet Table Saw? When working with a table saw it is bad to deal with a rough or sticky fence. Quality fences that use a rack and pinion or run a cam-lock will make sure your work is super accurate opposed to hoping it turns out well. Manufacturers have no method of knowing the type of exact work you will require from a cabinet table saw. This means the standard blades will often not be the ideal choice for your requirements. Today there are numerous blades available that can cut into just about any material. Some of these include multi tooth or carbide tipped. It is advisable to buy different brands and types to decide which one suits your style of work best. What Are the Project Types That the Cabinet Table Saw Is Best Suited To? When it comes to the cabinet table saws they are genuinely your 1-stop shop when it comes to just about any type of woodworking project. These tables offer you with a way to construct minute projects that allow you to make fine adjustments on the material you are working with. In addition, you are offered with the power, torque and the right blade sizes to cut through wood regardless of the size. In fact, you can do just about anything when it comes to the cabinet table saws and this is whereby it is reflected in the price you are going to pay for such superior machinery. If you have been in the wood working industry for a long time you are probably aware that these cabinet table saws are known as the “cream of the crop”. This means they are costly when you compare them to the smaller type contractor or portable table saw varieties. Who Will the Cabinet Table Saw Be Beneficial to? If you are only starting out in your wood working career, the cabinet saws can assist you in learning a lot faster on how to achieve becoming that master craftsman. It also means you won’t face the issues associated with operating machinery that may not be the right size for a job. If you happen to be hobbyist this cabinet saw is often not regarded as a necessity unless you have various projects that you have taken on or perhaps you would like to take your skills a lot further in regards to perfection. The smaller saws are more than adequate for the average DIY. But if you have made the decision to take the carpentry and joinery skills you possess to an entirely new level; the cabinet table saw can assist you in achieving that goal. Of course, the workers and contractors that make their living from transforming raw materials such as wood into stunning doors, furniture, huts, house and frames, the cabinet saw is worthwhile investment that you will not regret.